ave you ever seen a project or a jig in an online woodworking video and wished that there were plans you could print out? Or that there was a way to study an illustration or a close-up for more than the few seconds that it flashed before your eyes? Or that there was an outline that you could review to better understand the points the demonstrator was trying to make? 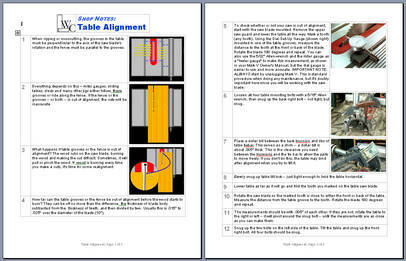 Or that you could take that outline with you out to your shop to remind you of the important points as you work? Well, you have arrived. 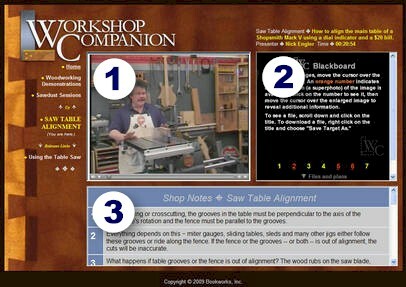 Workshop Companion video woodworking demonstrations are presented in a unique format that brings together audio, video, text, photography, and illustration on a single page for an enriched informative and educational experience. My friend Drew Achtermann and I pioneered this unique method of presentation on the Shopsmith site and we've improved it since then. We call it a "virtual classroom." When you visit one, you'll see three frames, each containing a different type of information. 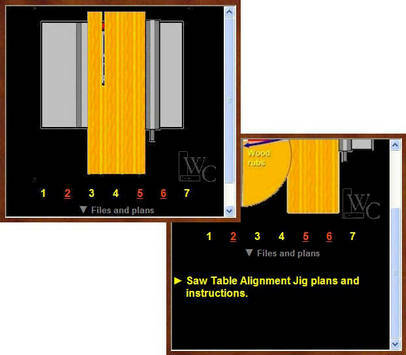 The upper left-hand frame shows a video in which a craftsman either presents woodworking information or demonstrates a woodworking technique. We call this the "Lectern." The upper right-hand frame, the "Blackboard," shows photos and illustrations that help the clarify what the craftsman presents in the video. Scroll down below the Blackboard and you may find additional information such as plans or articles in a downloadable PDF format. The lower frame is the "Notebook" and contains an outline of of the video presentation to help you follow along or review. It also shows links to other place on the Internet where you can find additional information or purchase tools and materials. Sawdust Sessions are streaming videos (with drawings, plans, notes, and other related materials) that explore a woodworking topic. These are usually 15 minutes long or longer. Workshop Tips are short videos that demonstrate new or unique woodworking information and tool savvy. Tool Reviews and Demonstrations focus on a particular brand of woodworking tool and explore its uses, benefits, and drawbacks. Sometimes we show new applications for a traditional tool or new ways to do traditional tasks. If you have trouble viewing the videos, see our Troubleshooting Guide and FAQ. The Virtual Classroom presents three types of information on three embedded screens: (1) audio/video, (2) graphics, and (3) text. To see the graphic information on the Blackboard (2), run your cursor over the numbers and drawings or photos will appear. Scroll down below the numbers and find files for plans, charts, and related information to download. 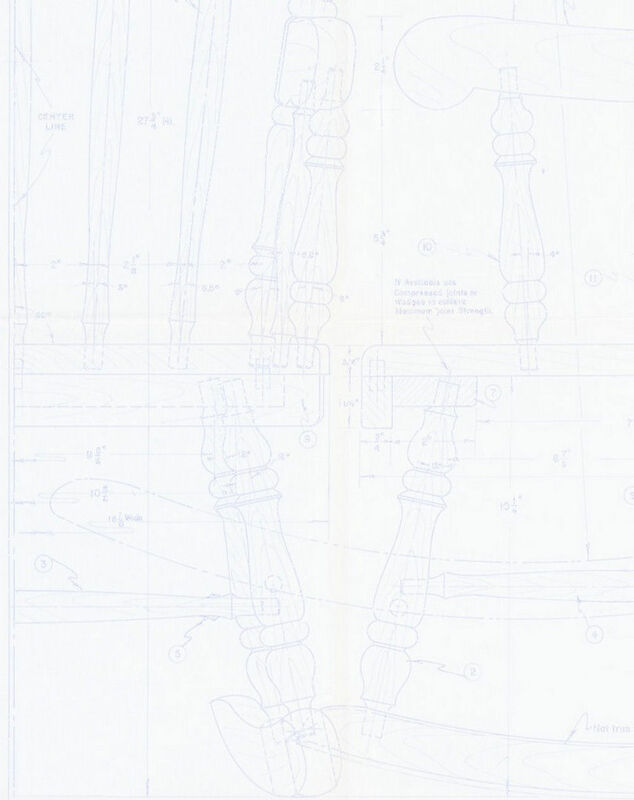 If you'd like a copy of the outline shown in the Notebook (3), complete with the drawings and photos from the Blackboard (2), download or print out the PDF file.